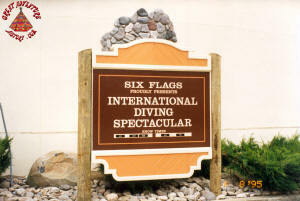 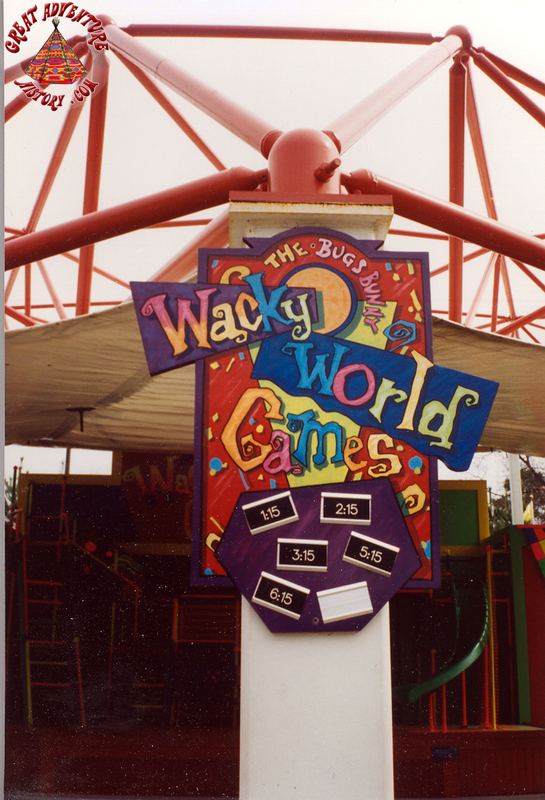 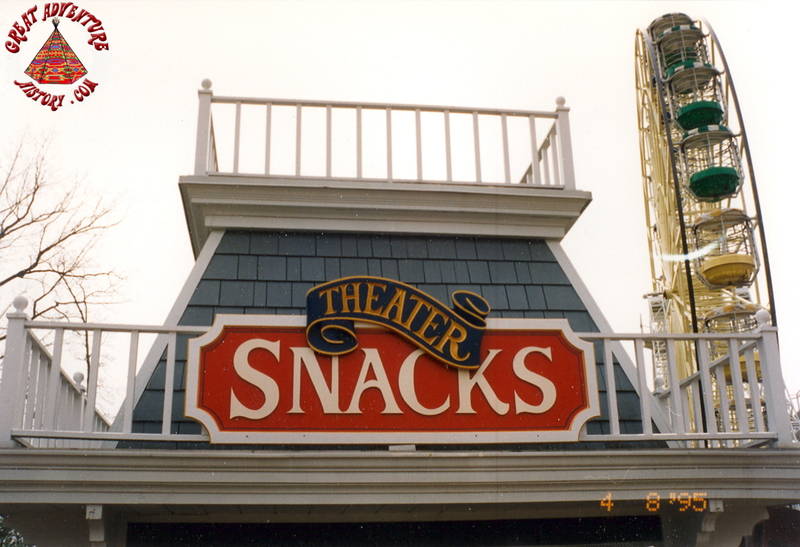 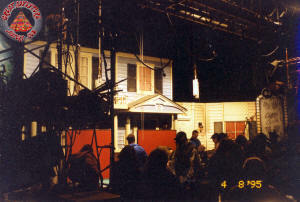 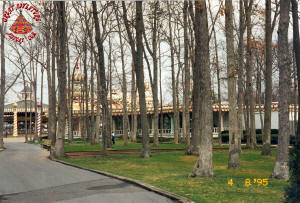 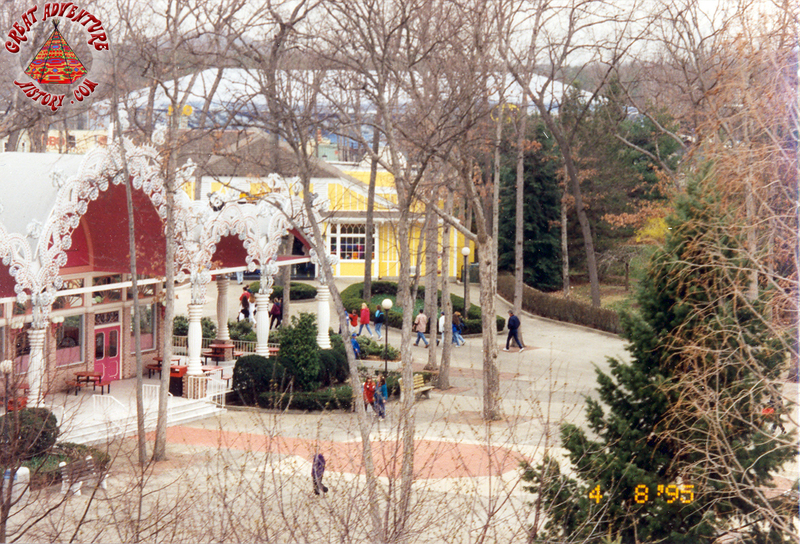 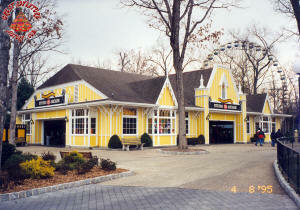 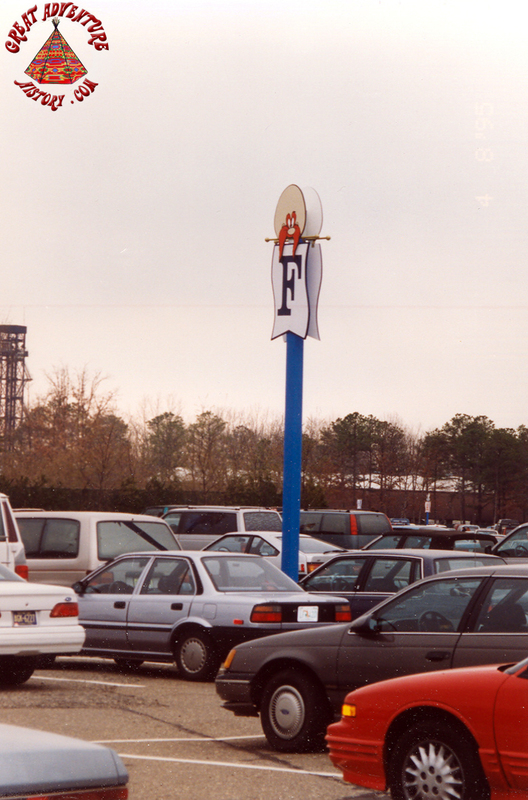 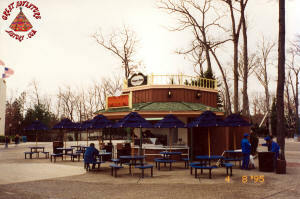 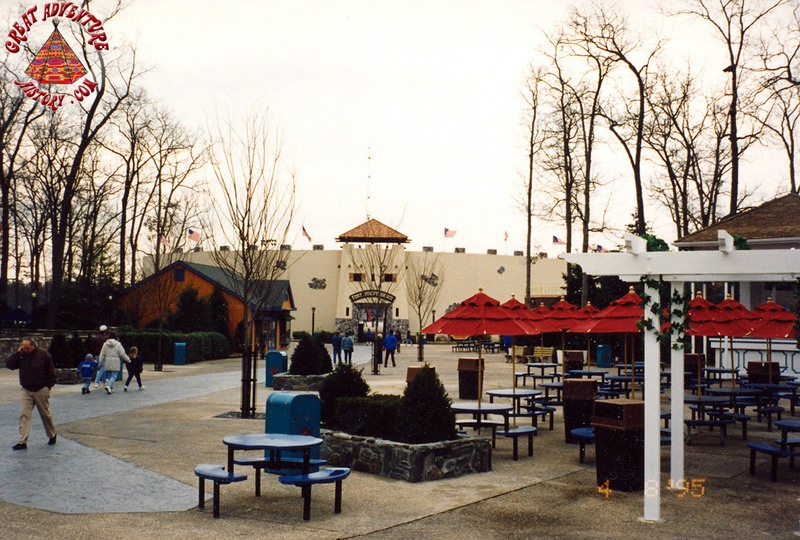 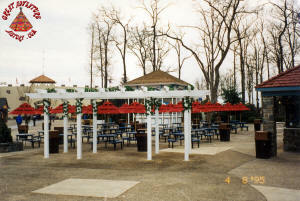 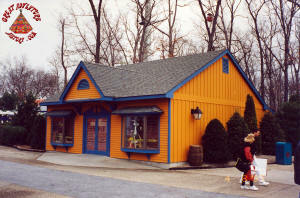 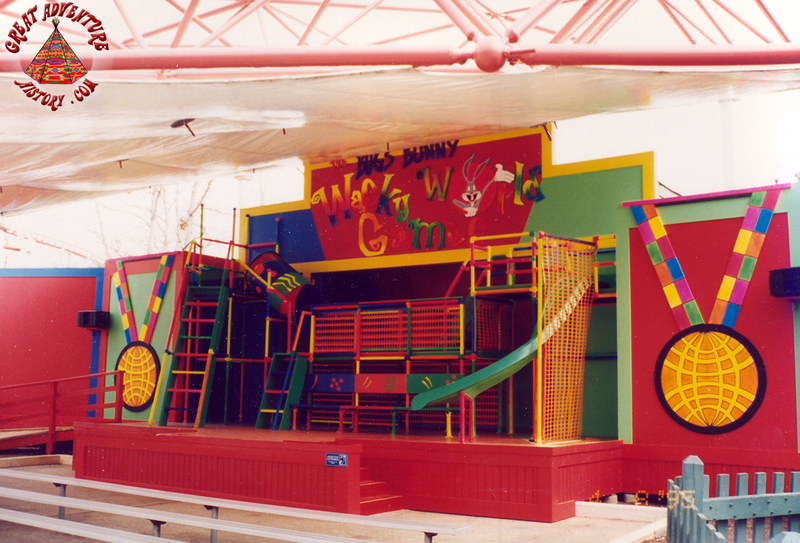 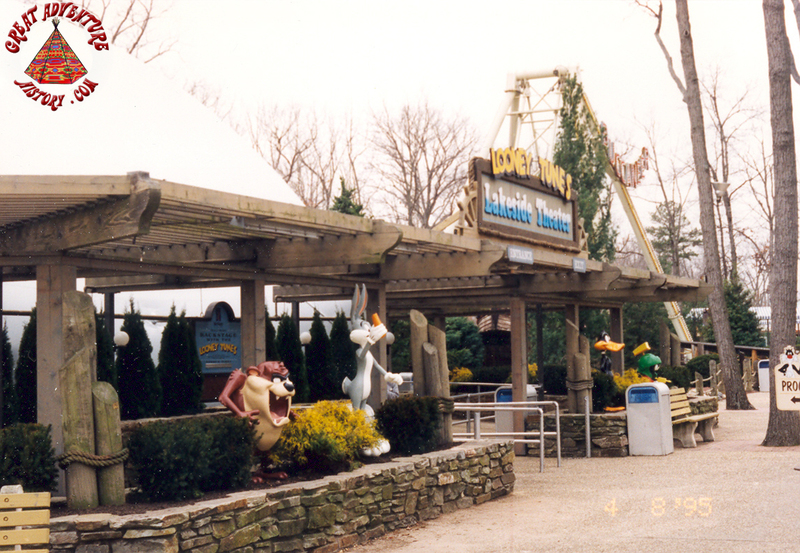 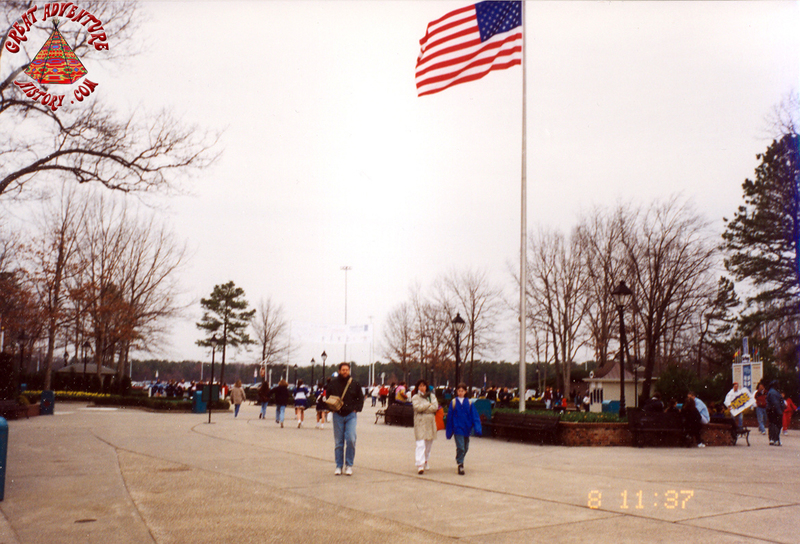 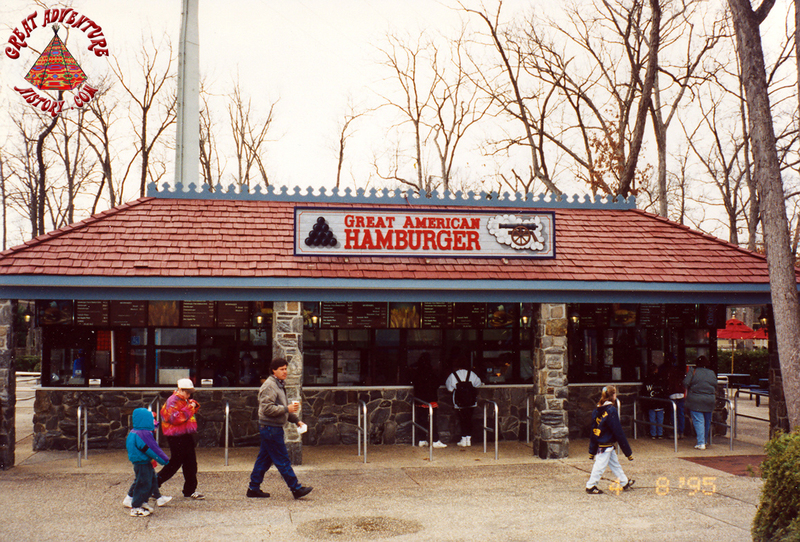 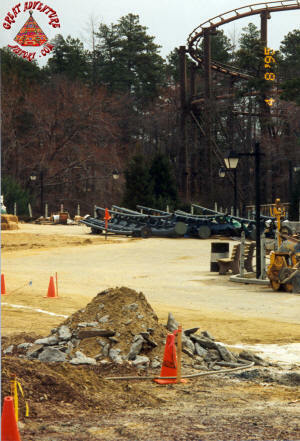 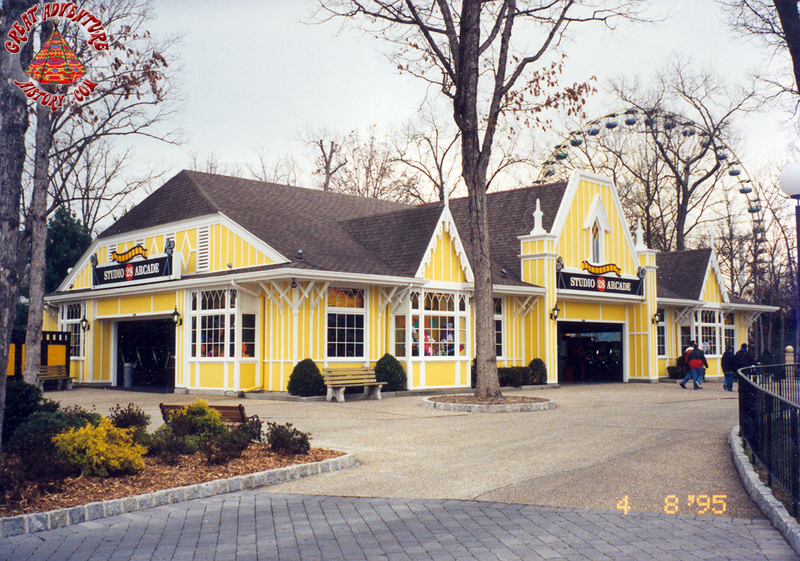 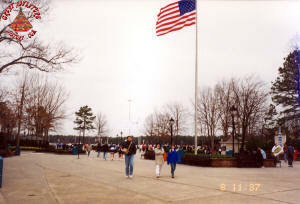 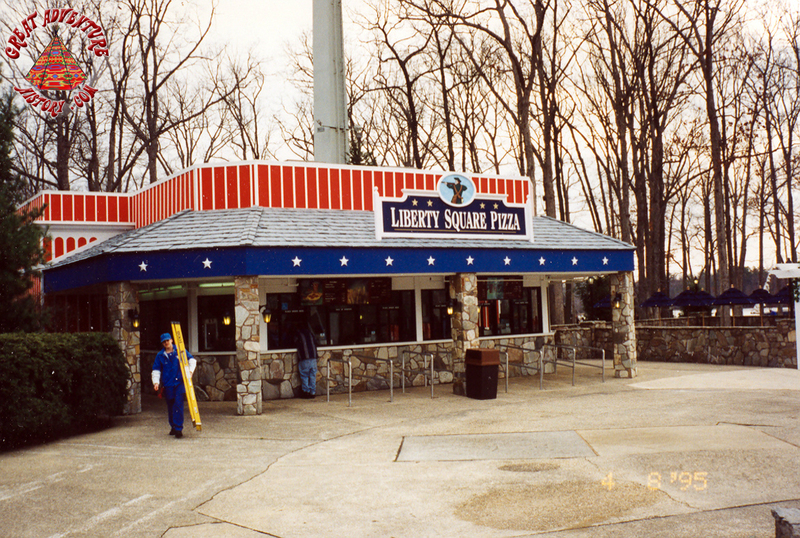 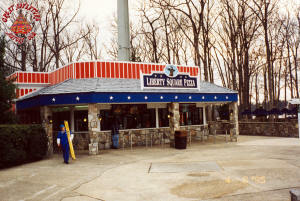 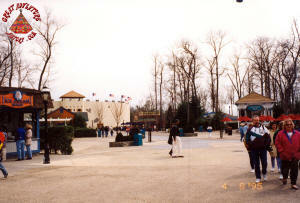 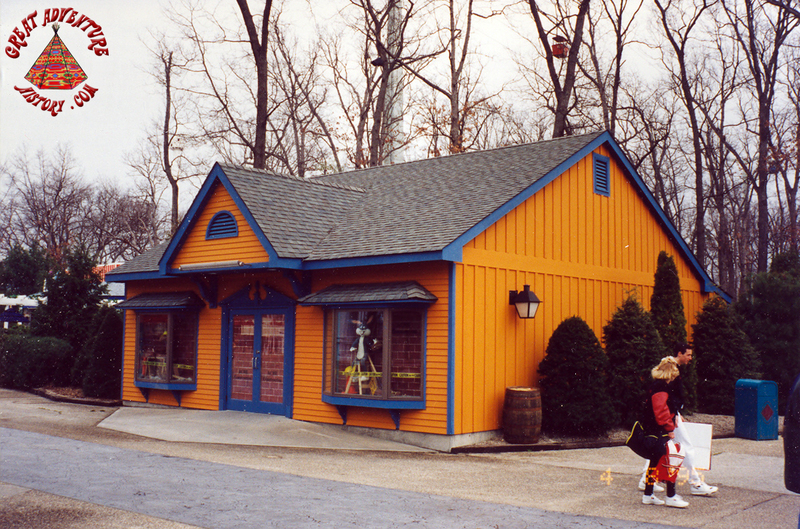 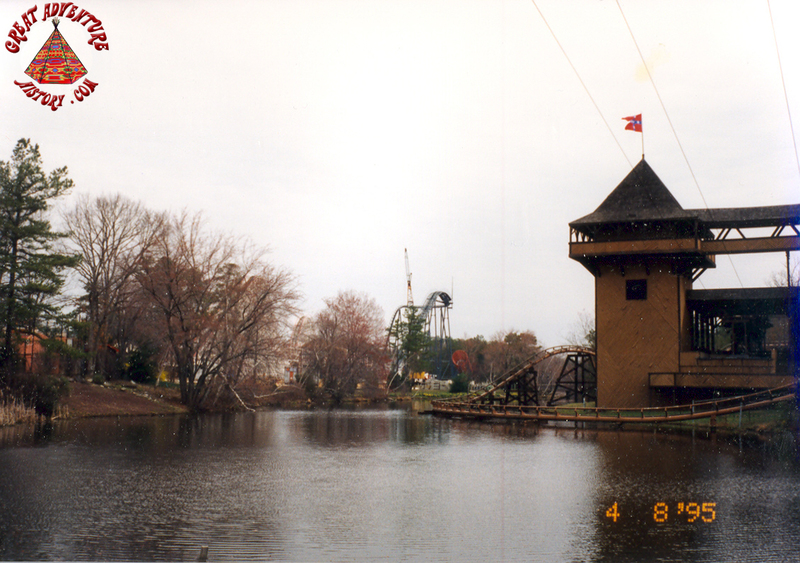 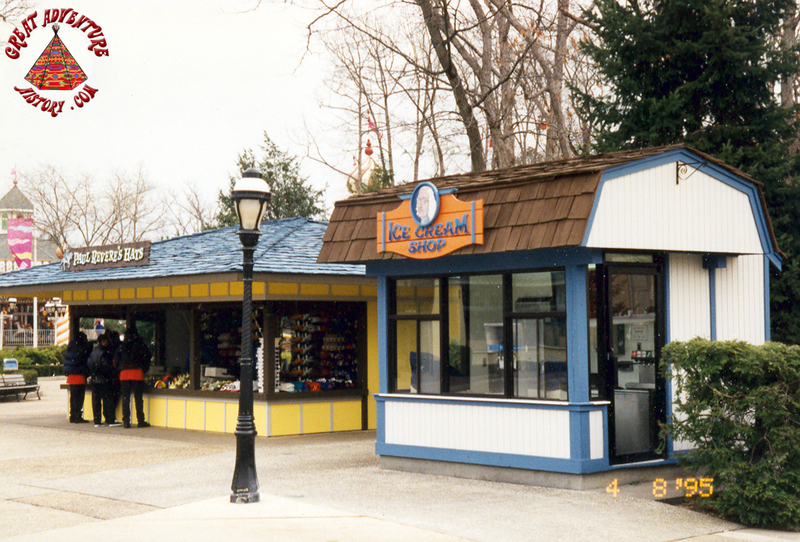 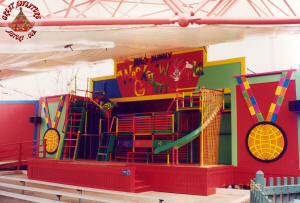 Opening day 1995 brought with it several changes and updates to the park as Great Adventure continued its transformation under the ownership of Time Warner. 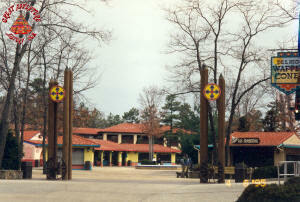 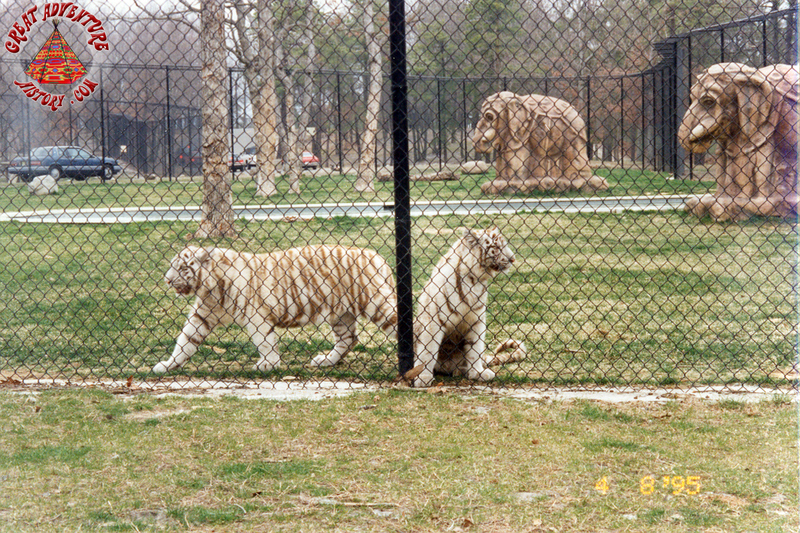 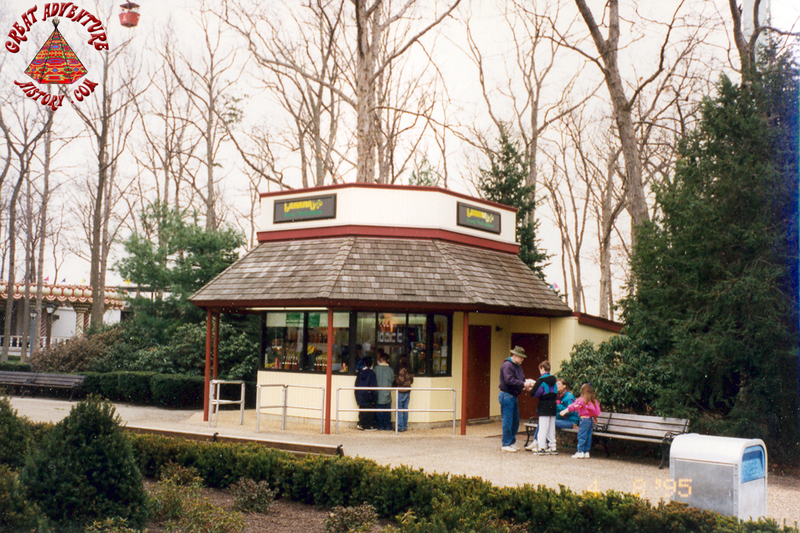 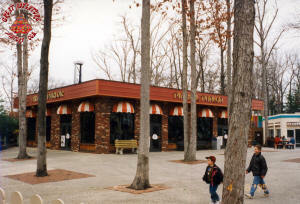 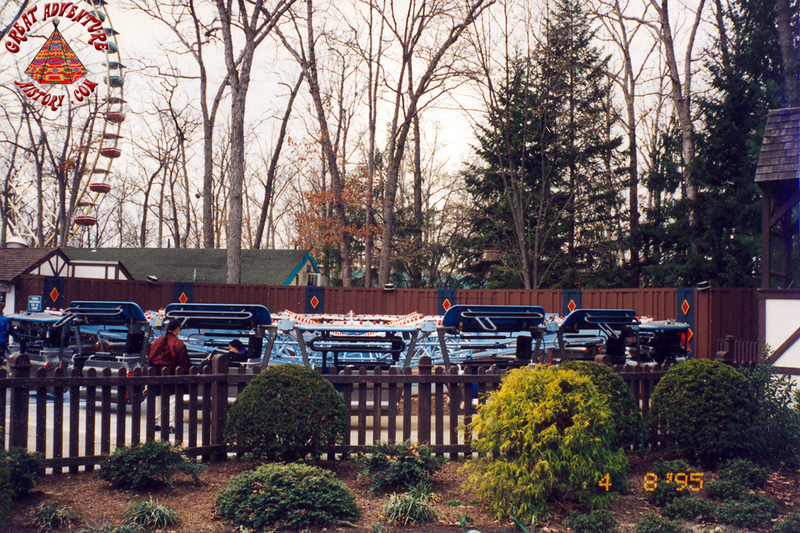 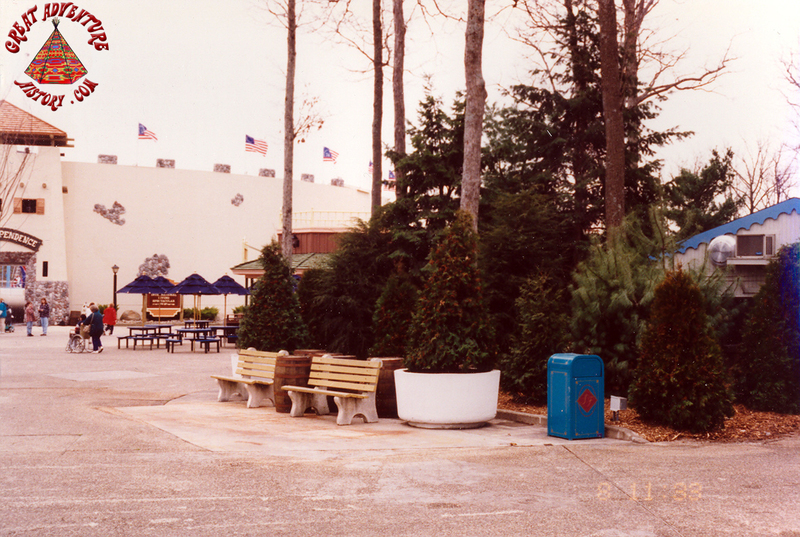 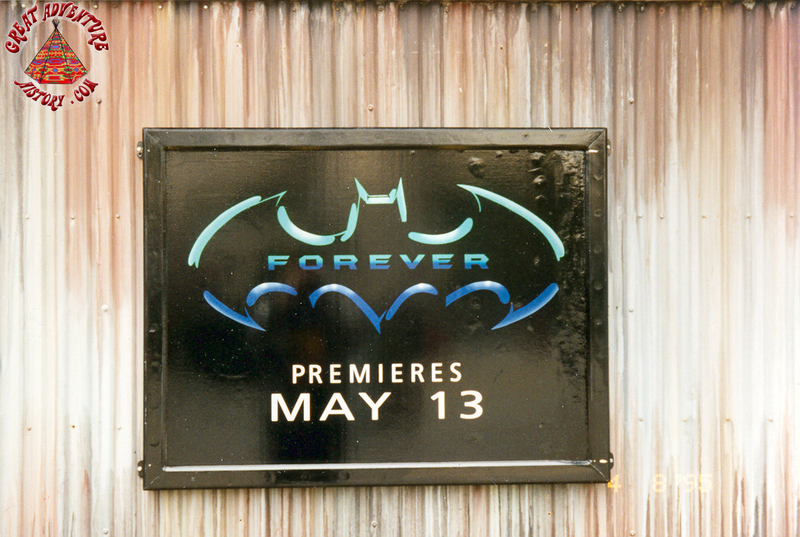 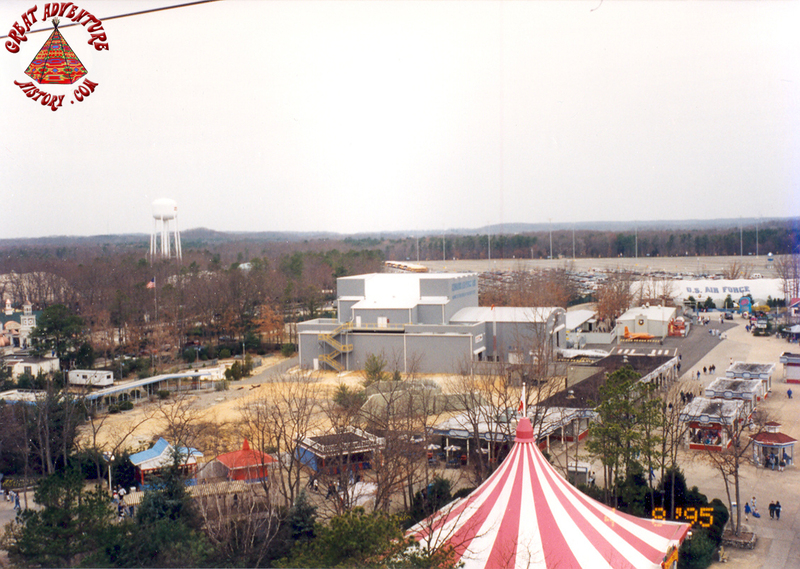 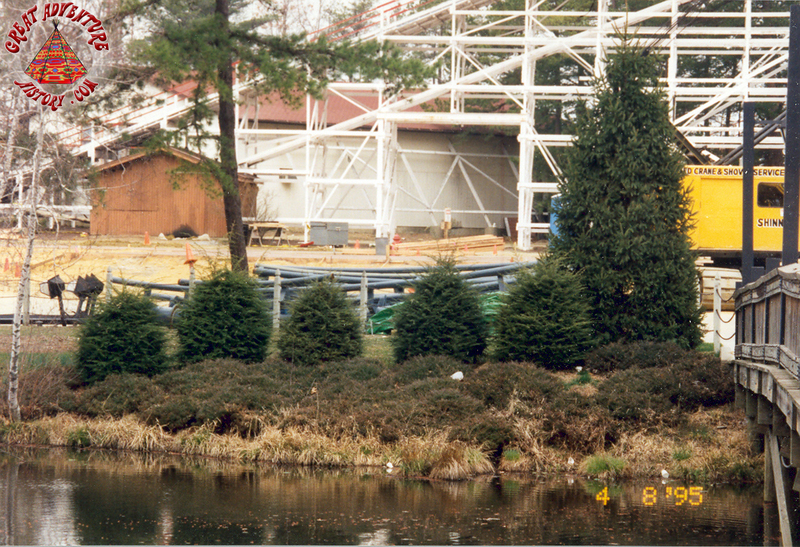 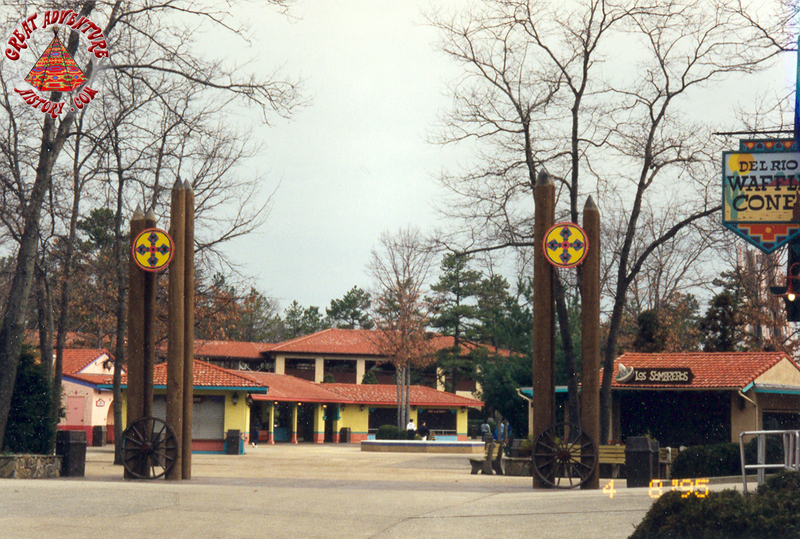 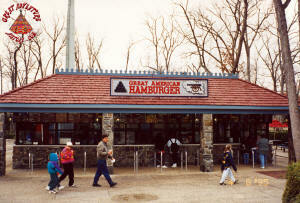 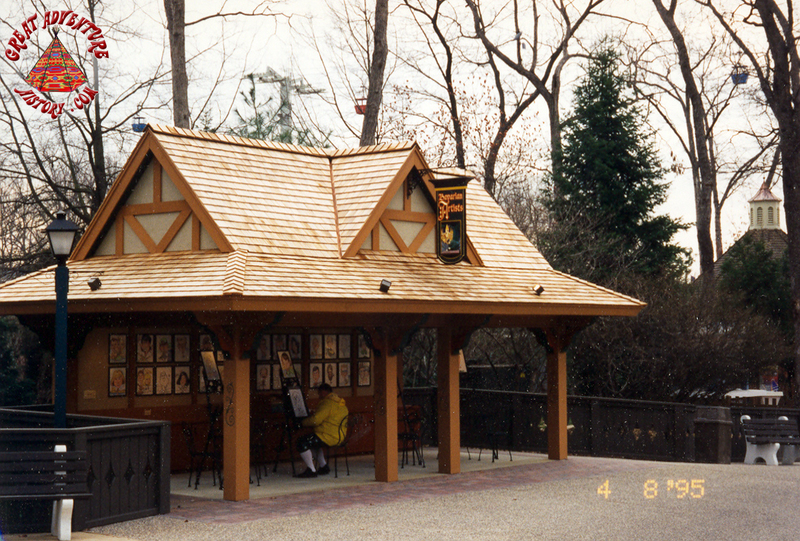 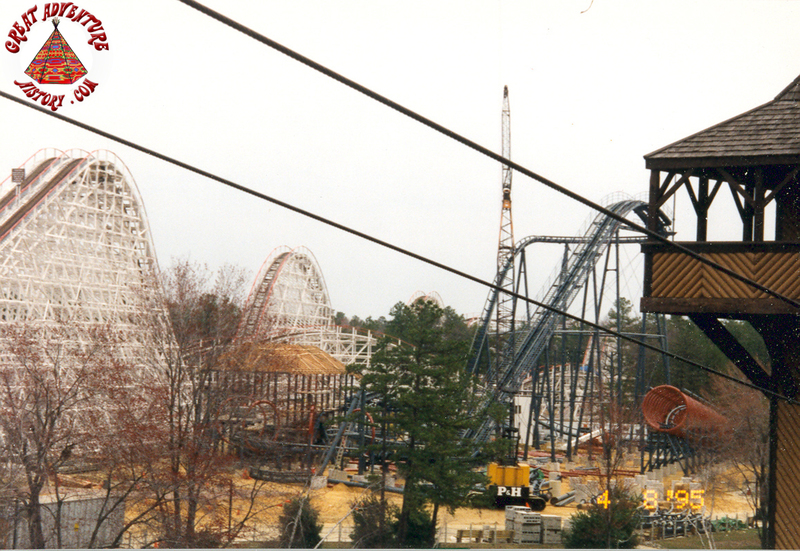 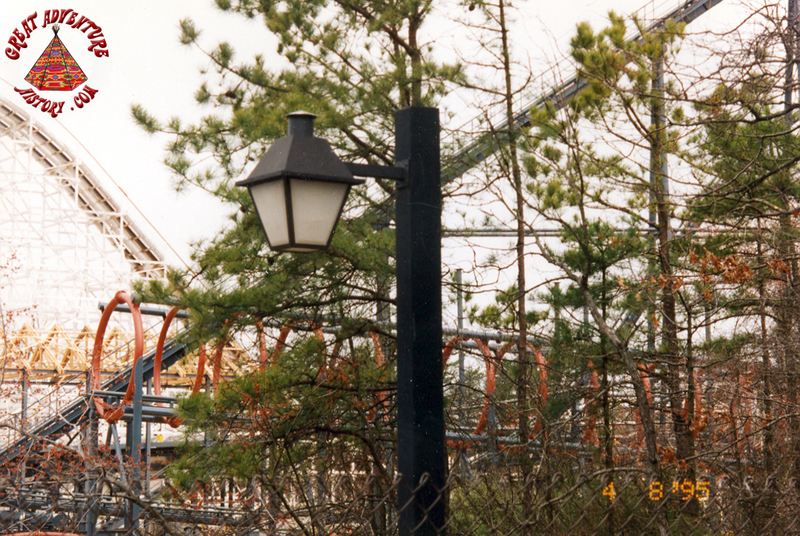 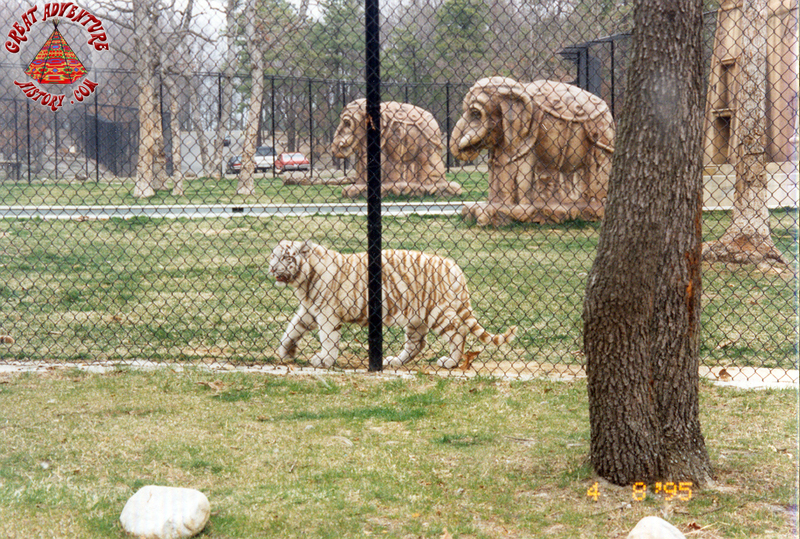 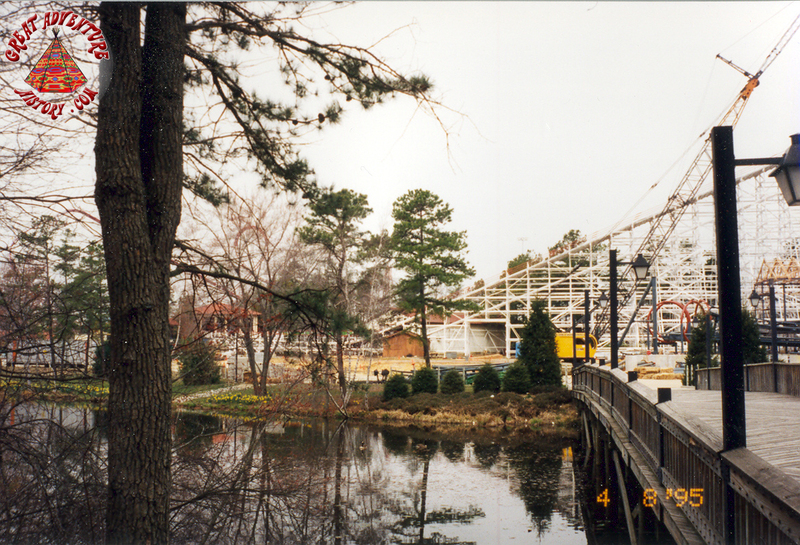 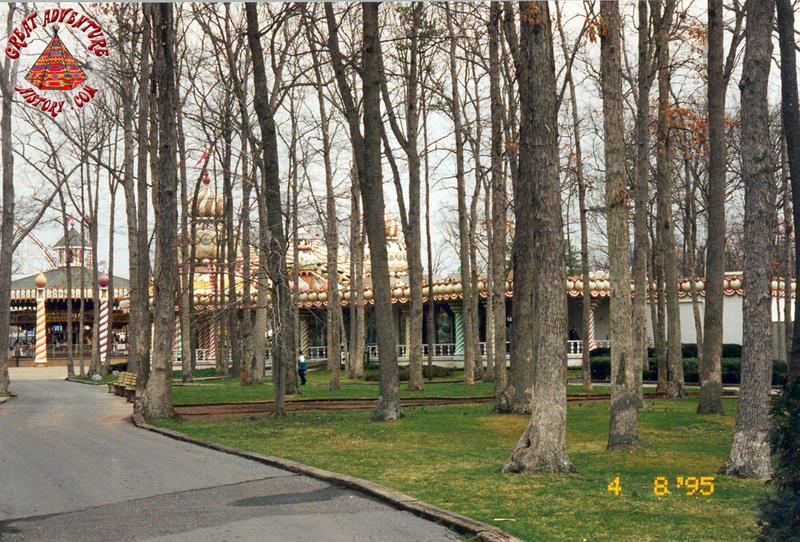 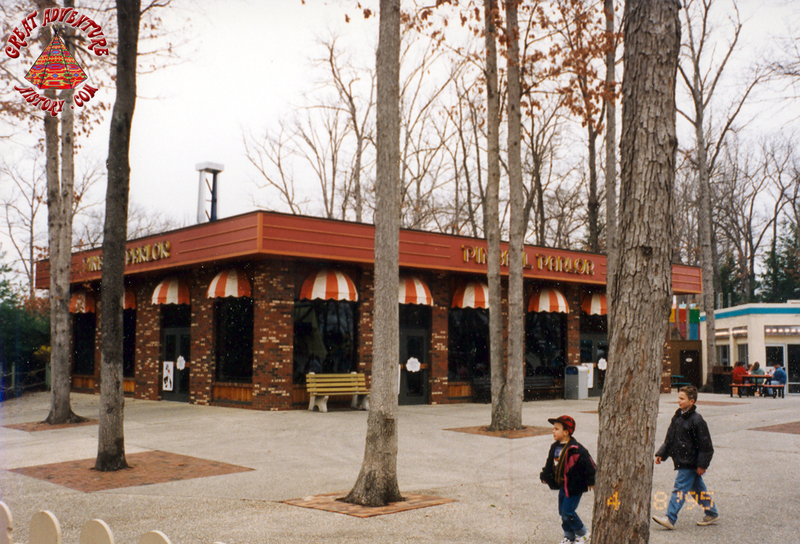 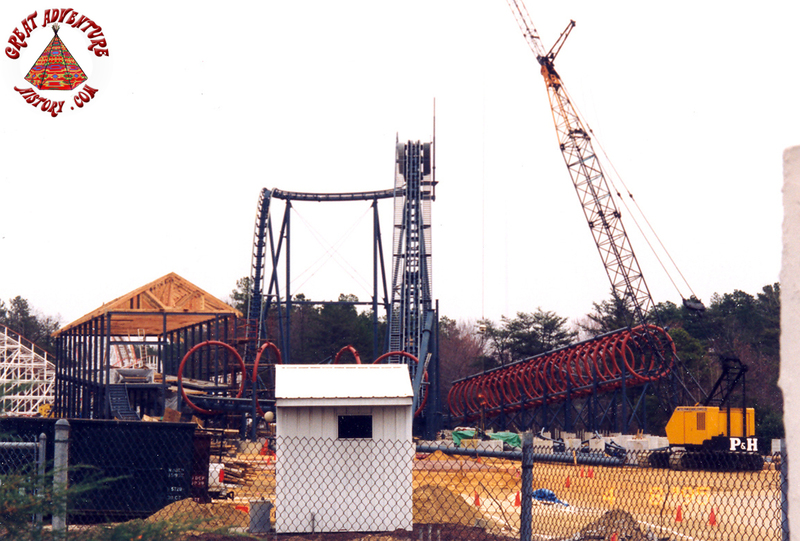 Travel with us as we journey back two decades to explore the park in the spring of 1995. 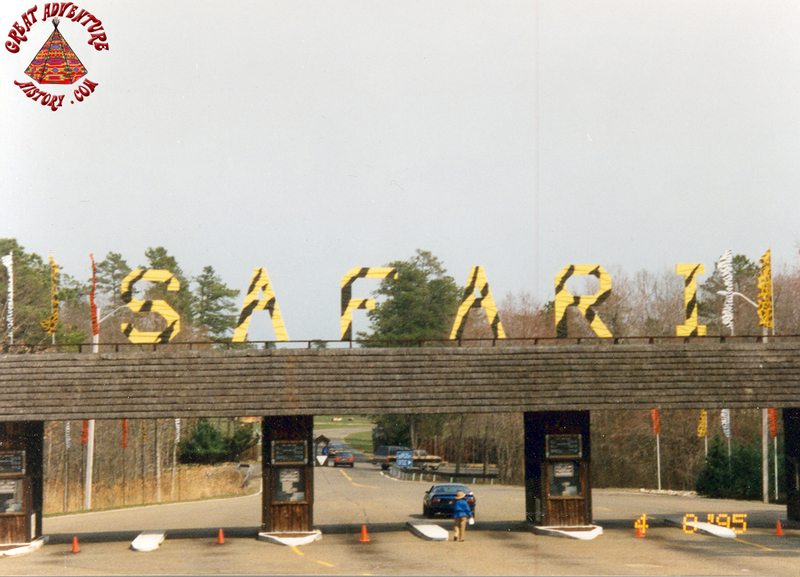 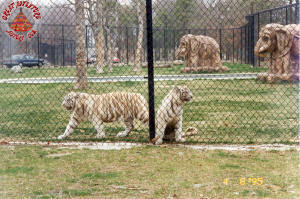 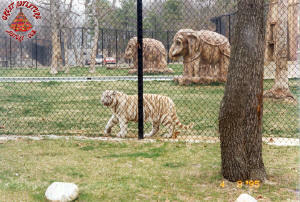 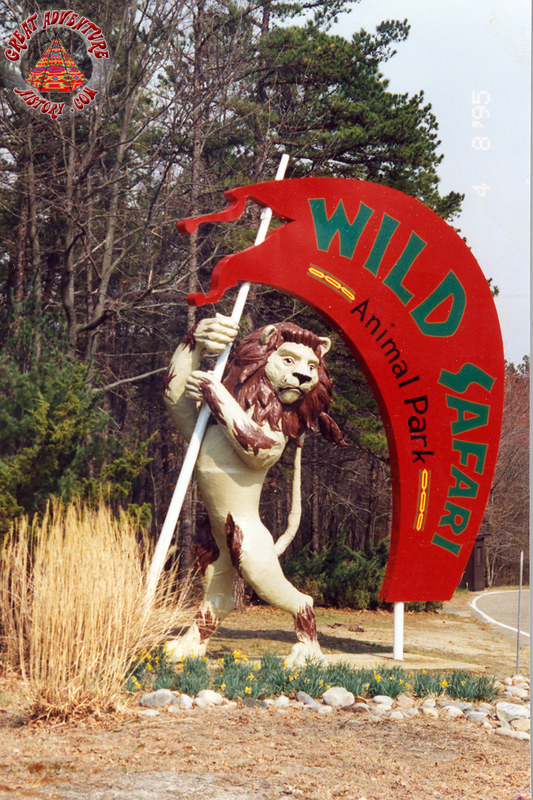 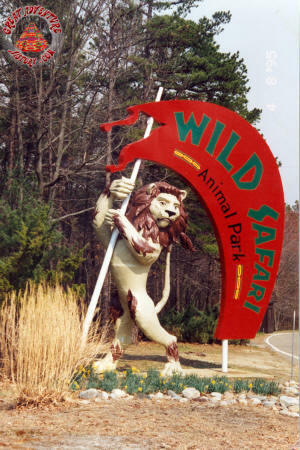 New signage marked the Safari's entrance. 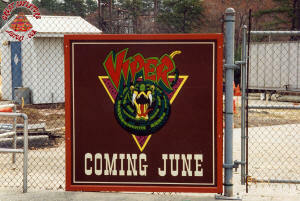 The new Viper could be seen from the lot. 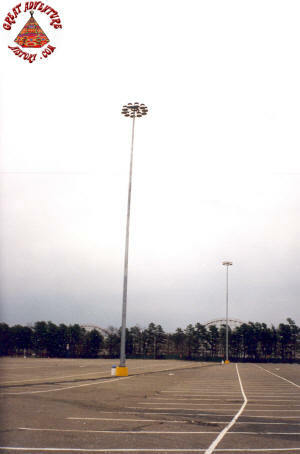 Huge new lamp fixtures replaced the old ones which were a fraction of their height. New parking lot markers incorporated the new Six Flags logo emblem. 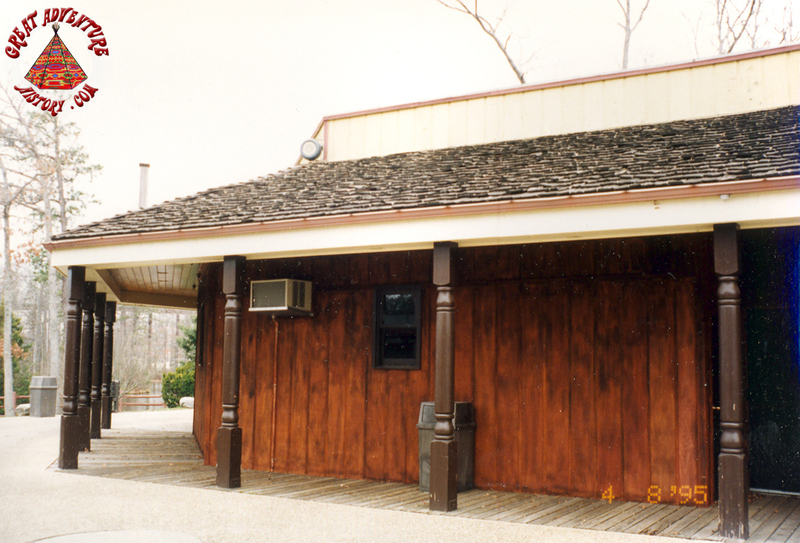 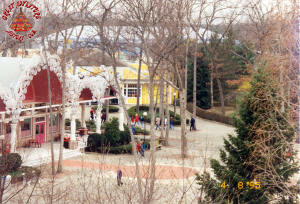 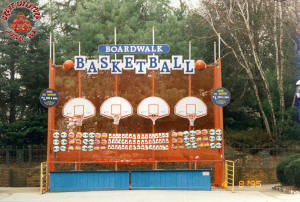 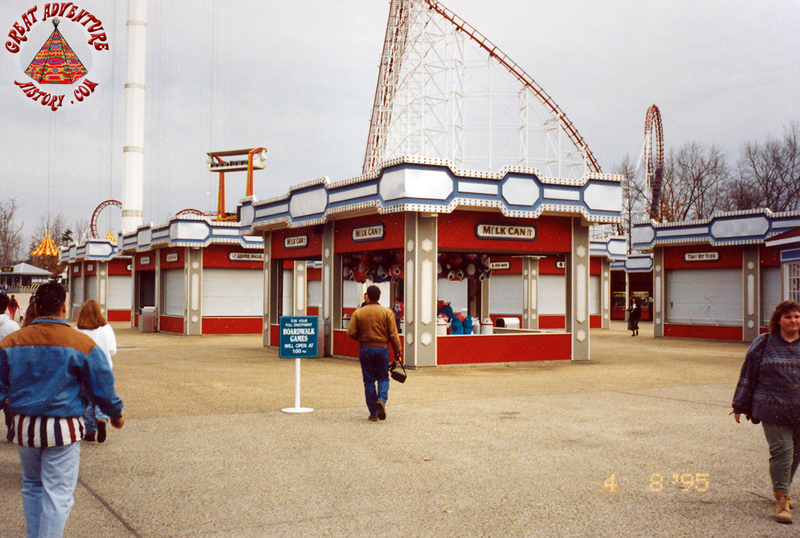 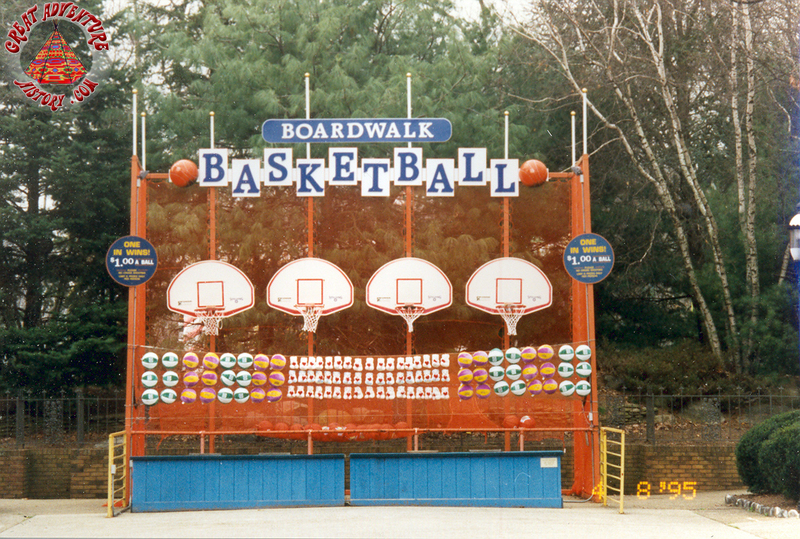 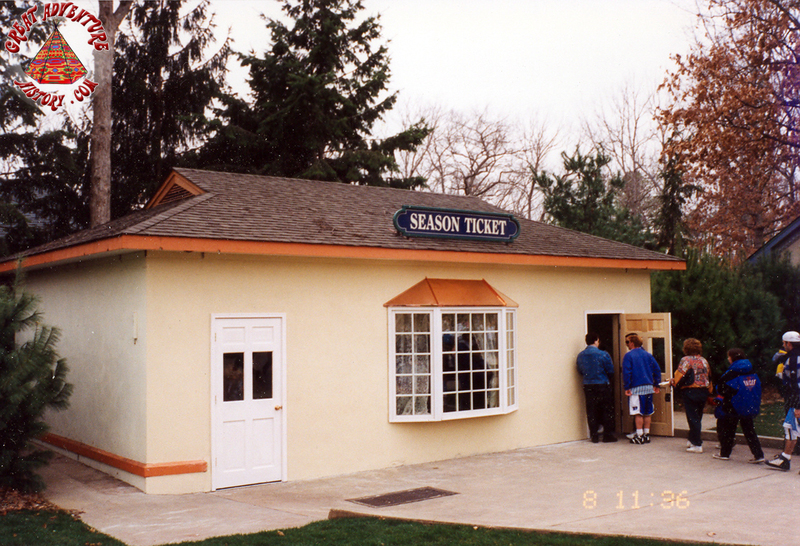 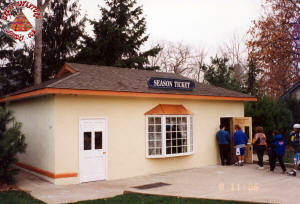 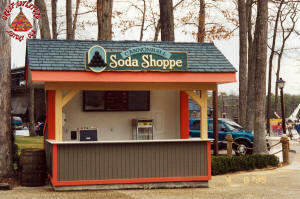 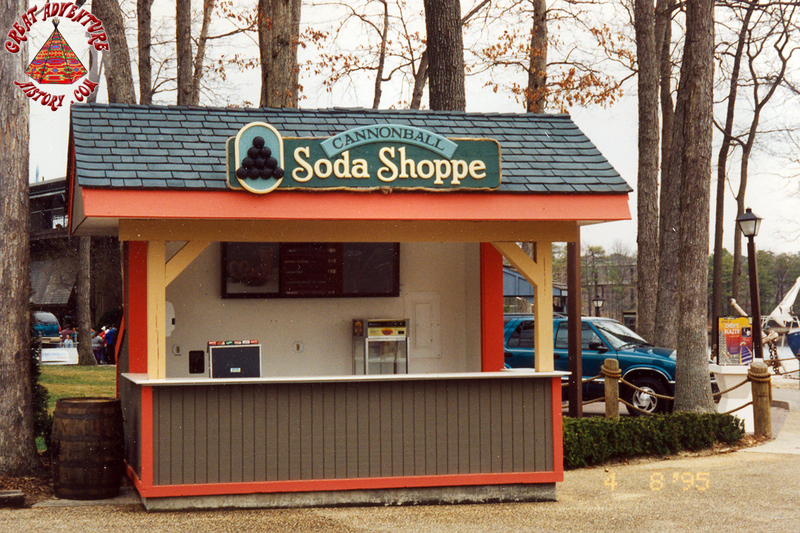 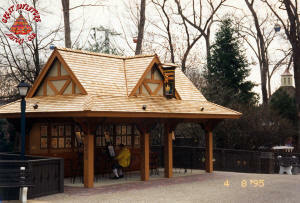 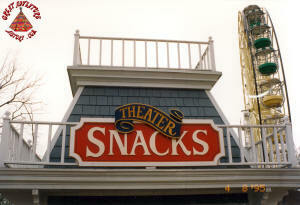 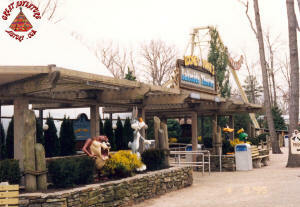 A season pass stand was constructed by enclosing the old locker building. 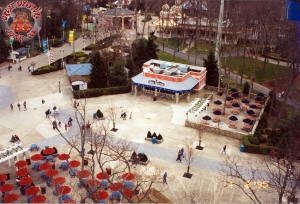 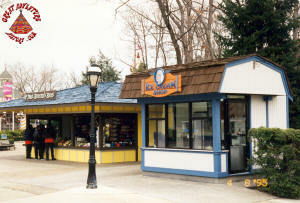 The area between the Fountain and the aqua stadium continued the revamping of Main Street started in 1994. Arbors were added next to the Fountain. 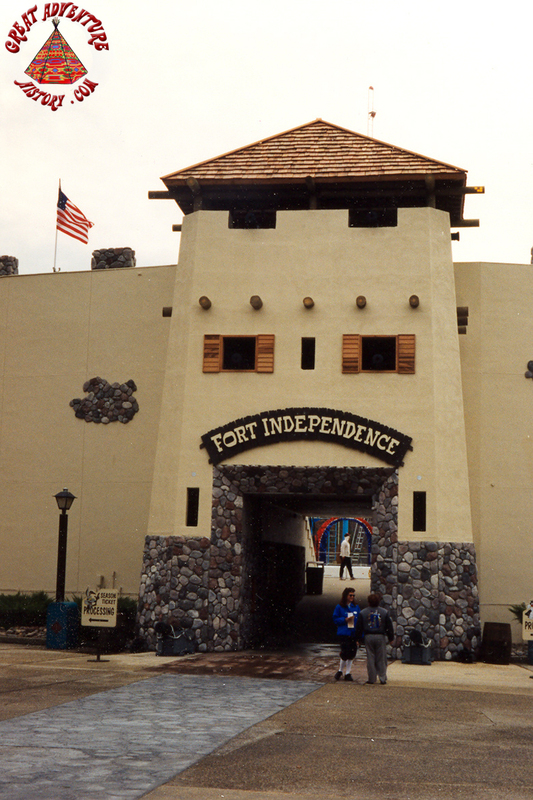 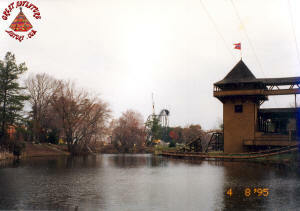 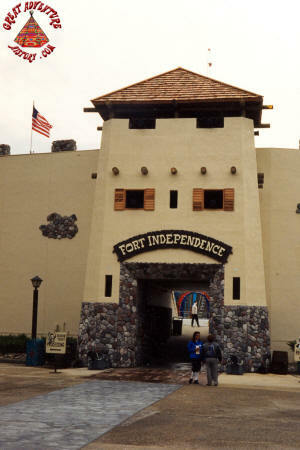 The Aqua Spectacle was repainted and a tower erected to transform the facility into the revolutionary themed Fort Independece. 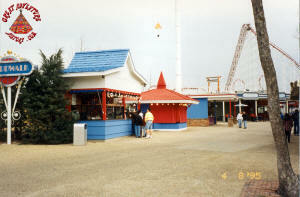 A cotton candy trailer from the 1970s was removed from the revamped area. 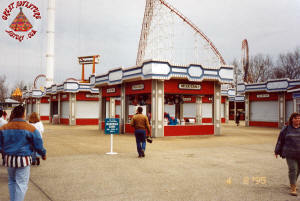 All the stands were rethemed and renamed. 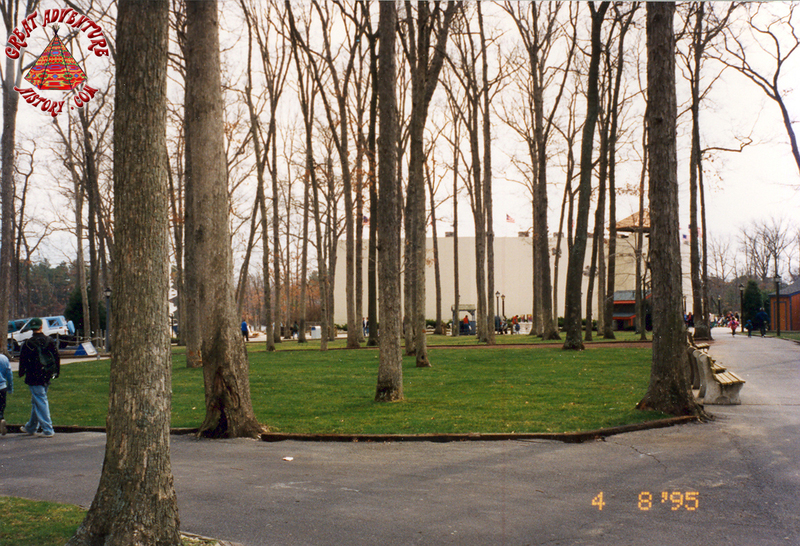 Adventure Golf was totally removed and new sod brought the area back to its natural beauty. 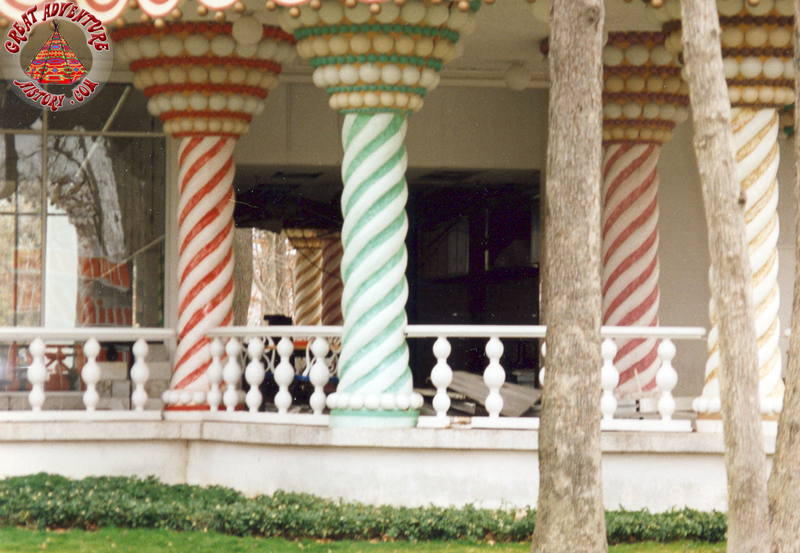 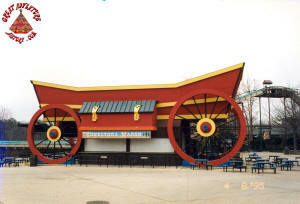 The Yum Yum Palace was gutted as the restaurant was set to become the Great Character Cafe. Cinema 180 films were removed and the venue was converted to a character meet and greet. The Pinball Parlor was closed and would be remodeled to an indoor laser tag maze by mid season. 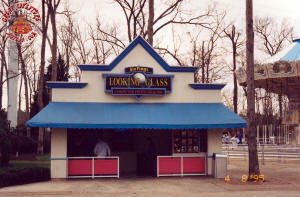 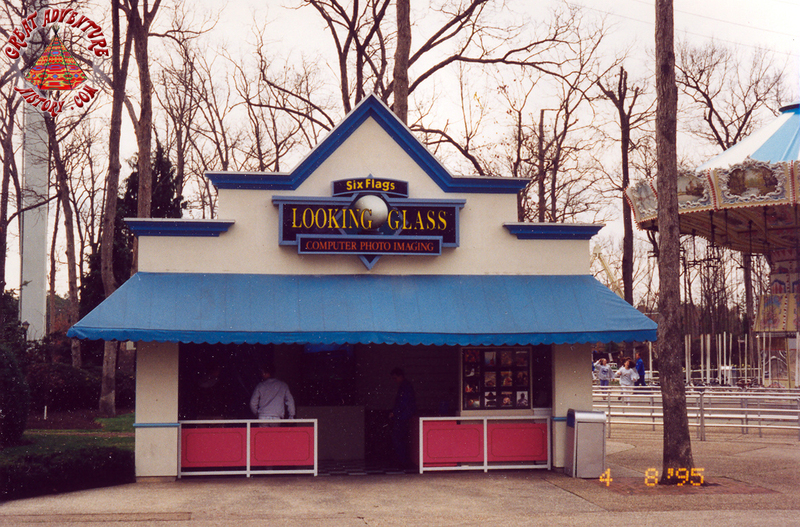 Dream Street Confections was replaced by the Looking Glass photo booth. 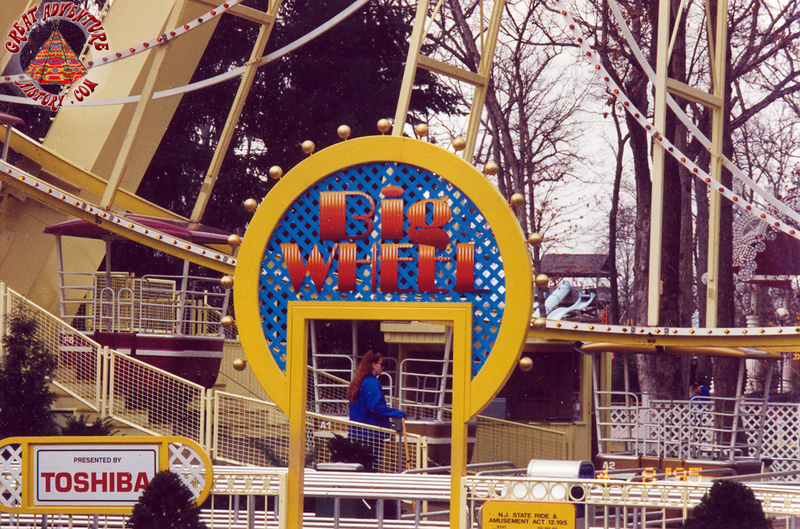 For the first time in its history the Big Wheel received a ride sign. 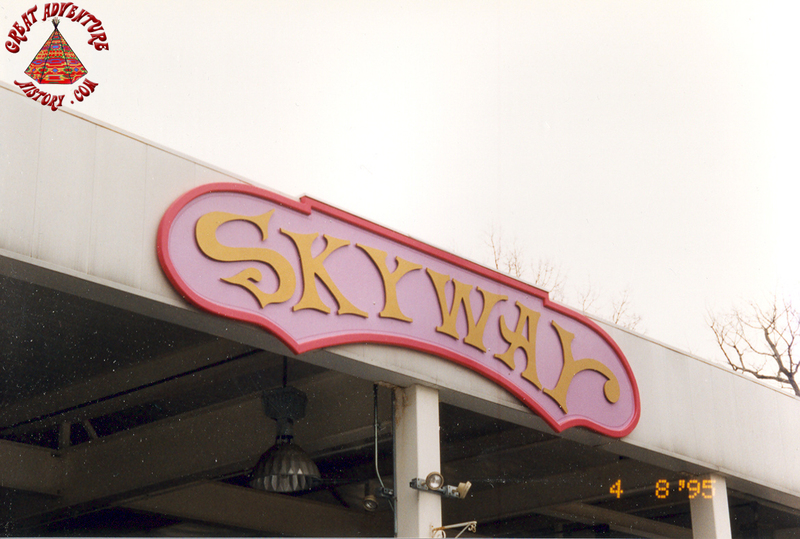 A ride on the "Skyway" provided great views of all the changes. 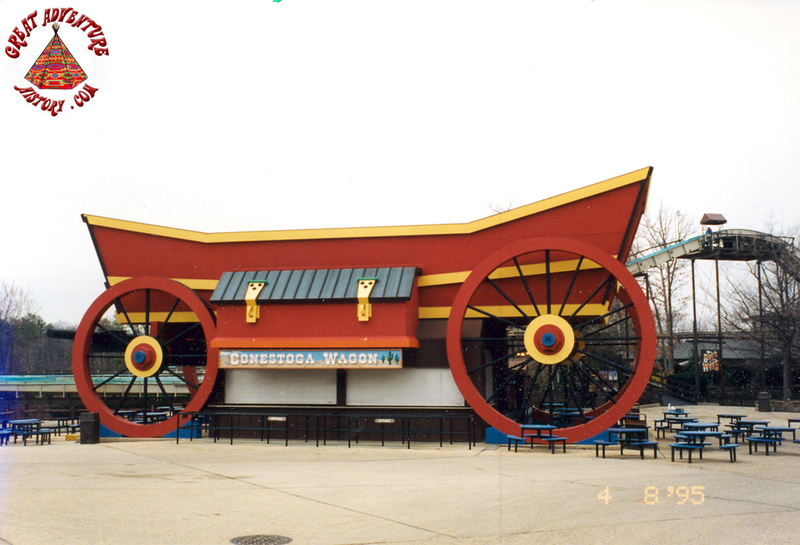 The Conestoga Wagon received a fresh coat of paint. A portion of the Western Shootout building was enclosed for offices. 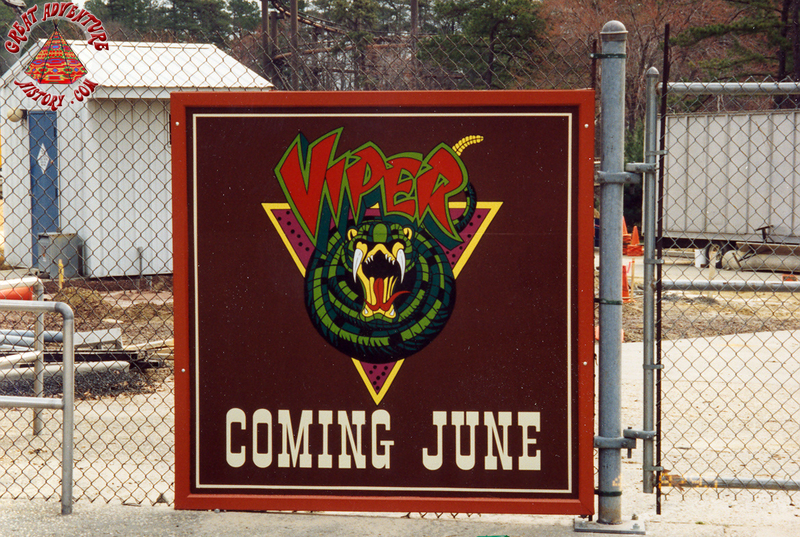 The Western Bridge was closed due to Viper construction. 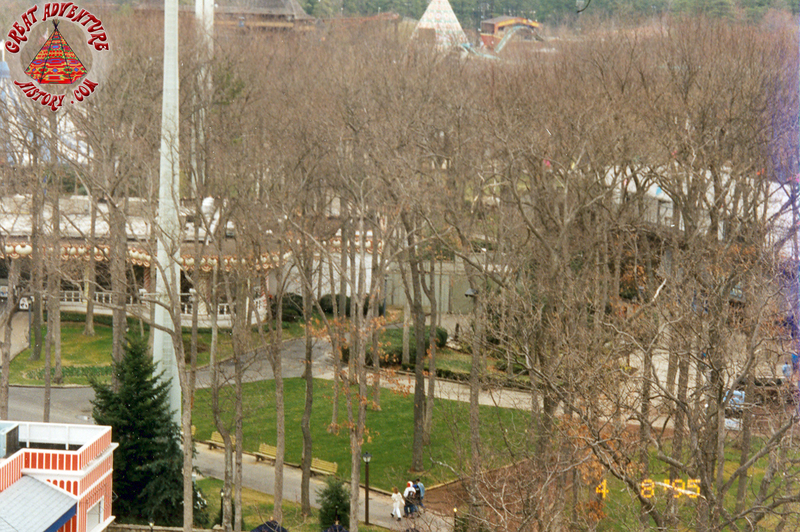 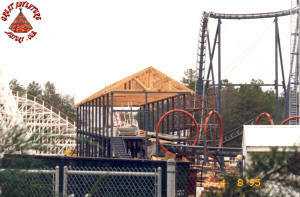 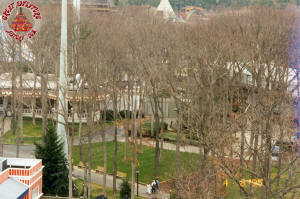 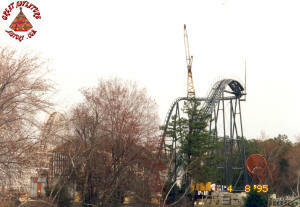 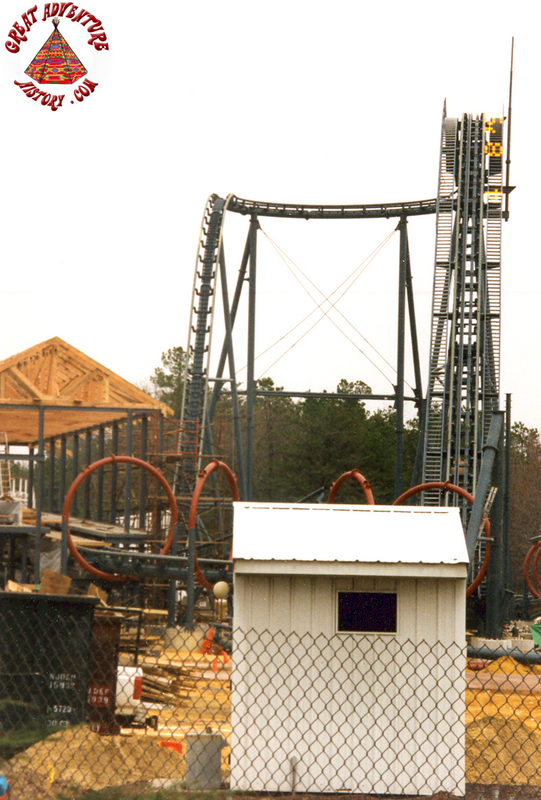 Work continued on Viper which was expected to open in early June. 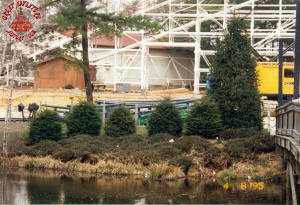 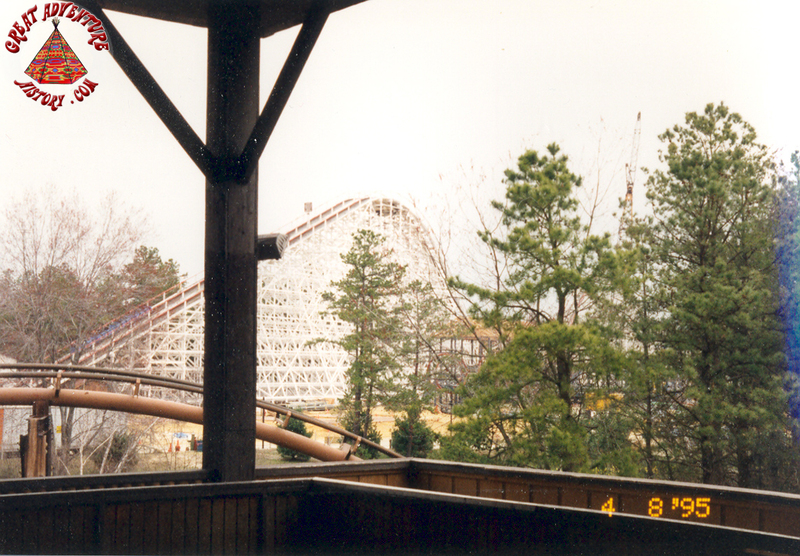 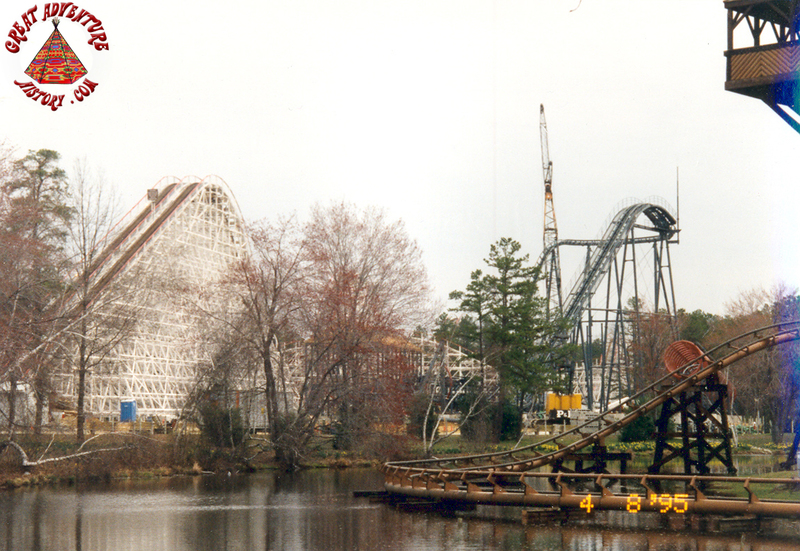 Viper could be seen rising in the distance behind Lahaway Creek. 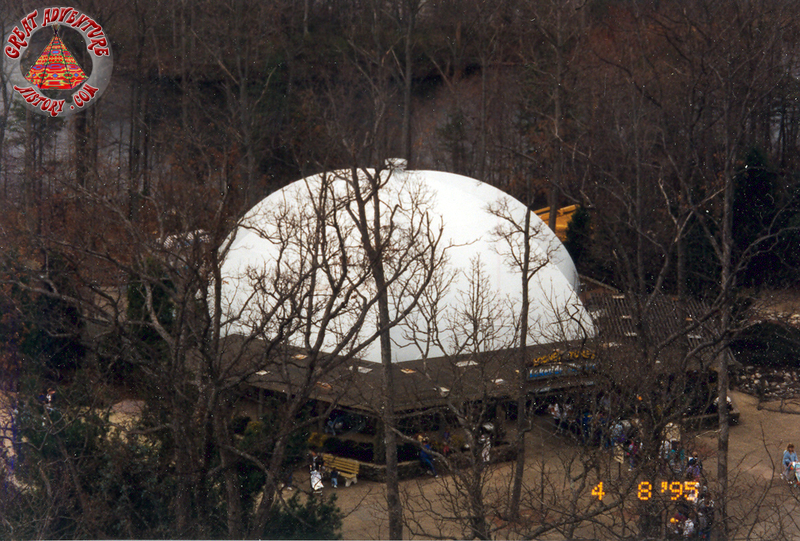 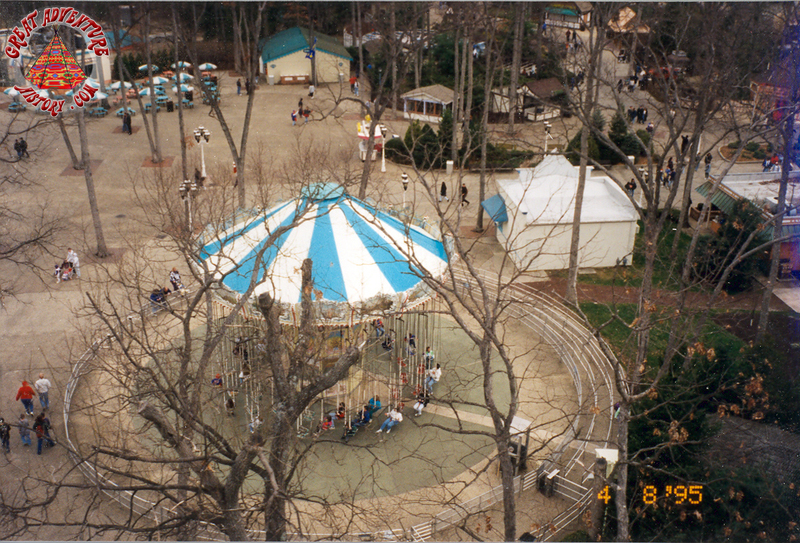 Frontier Adventures was expanded to include the entire area up to the Four Tents. As a result, the former overhead portal sign was relocated. 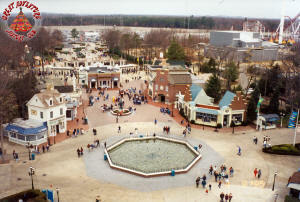 A new fountain was added to the Spanish themed portion of Frontier Adventures. 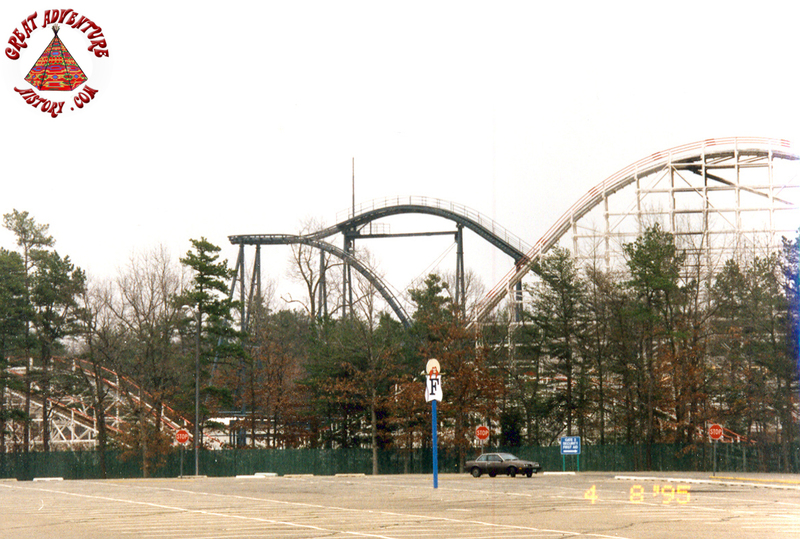 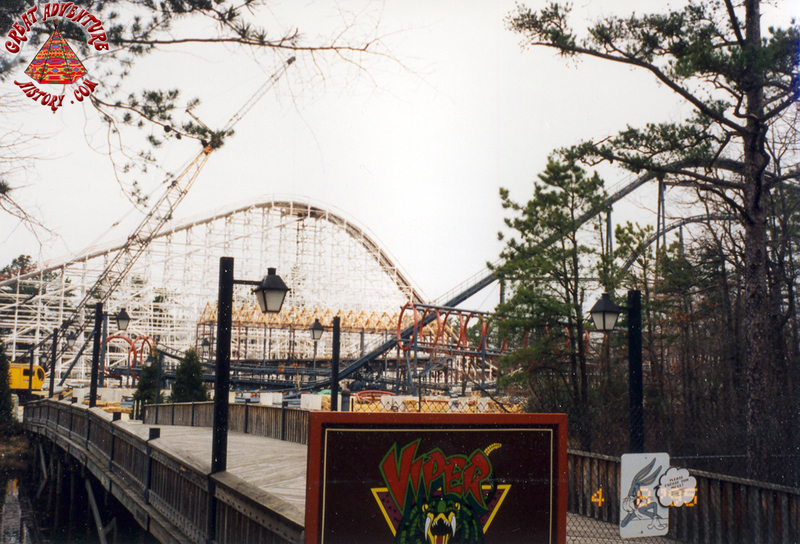 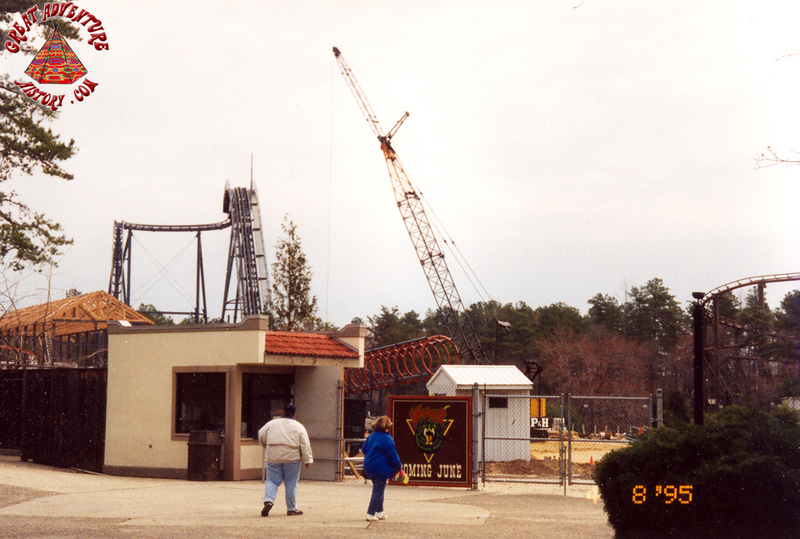 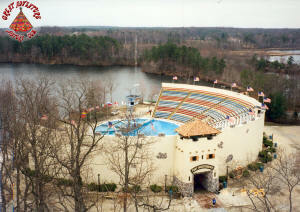 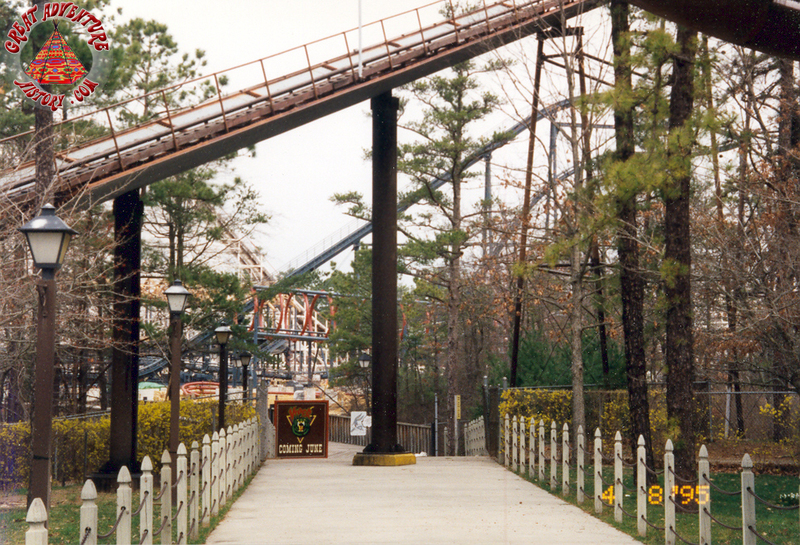 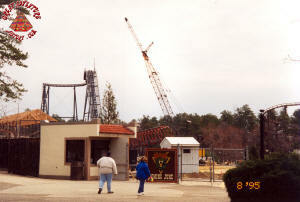 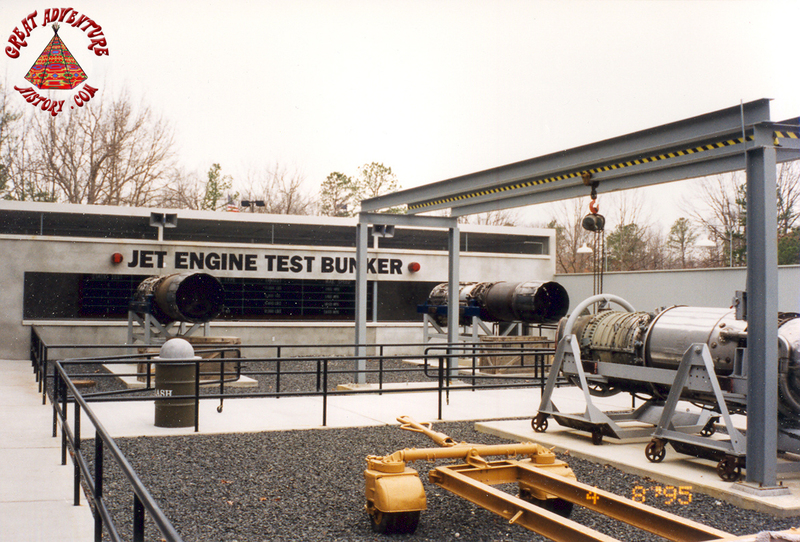 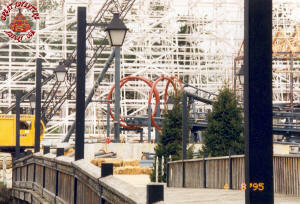 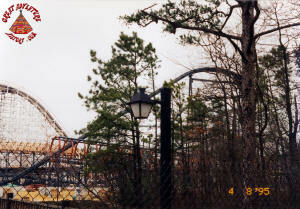 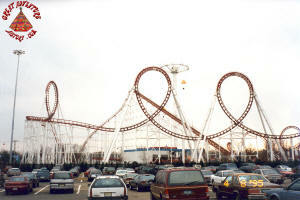 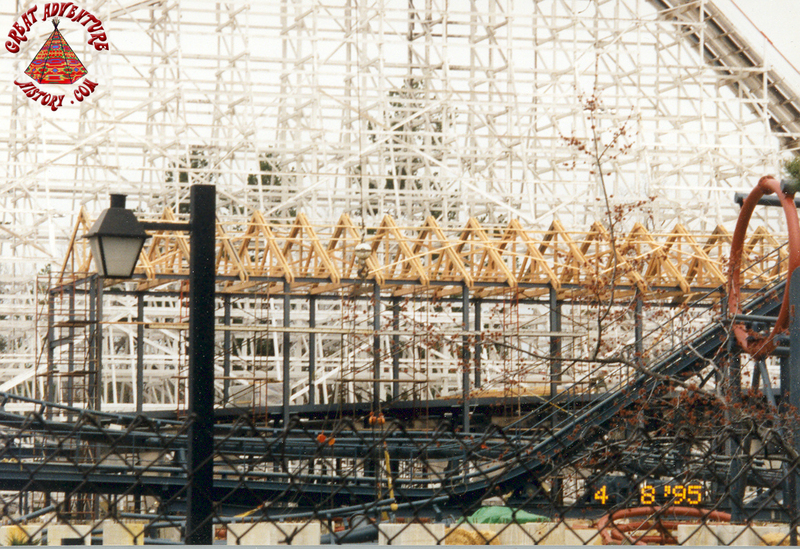 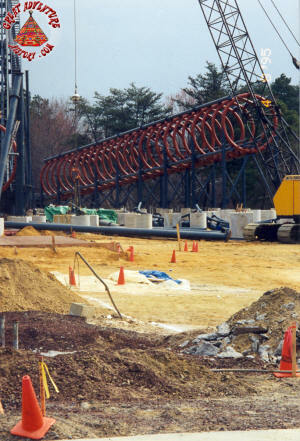 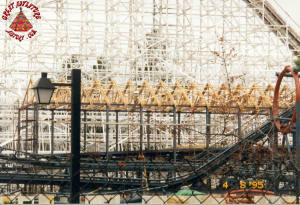 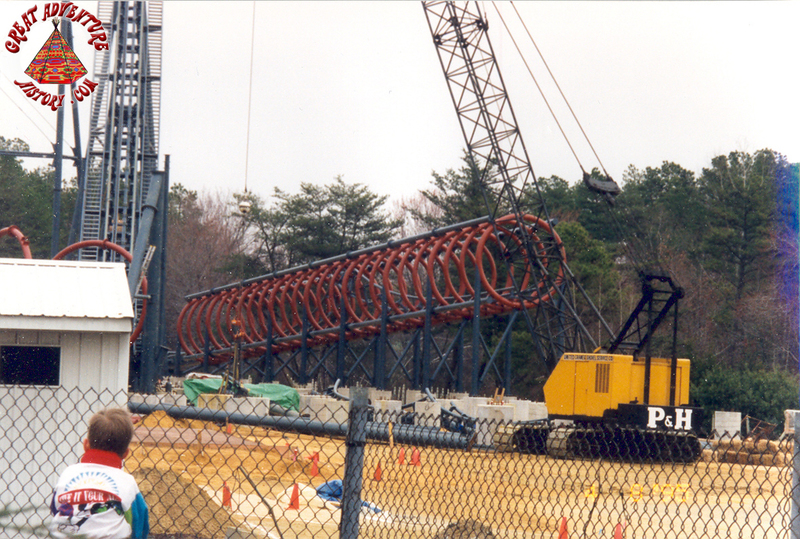 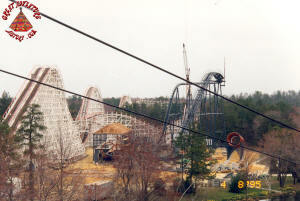 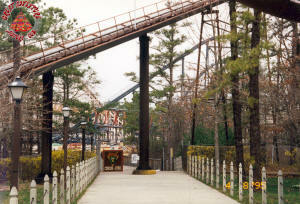 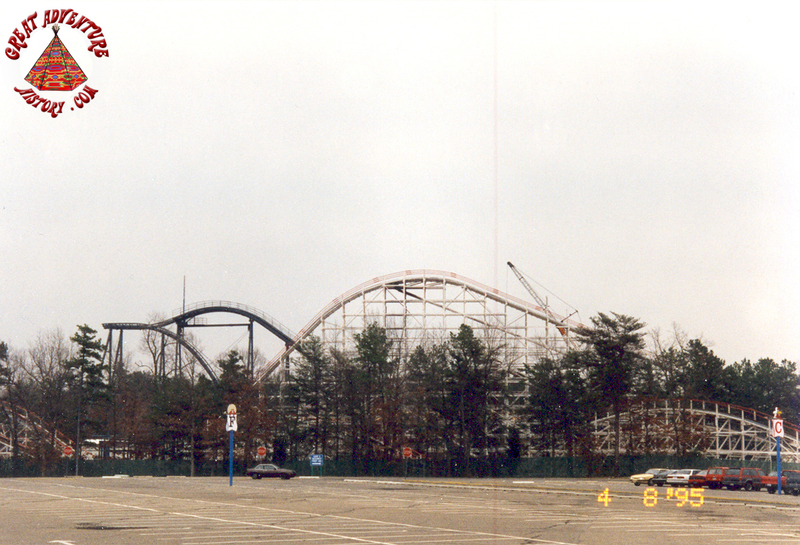 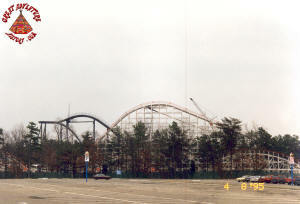 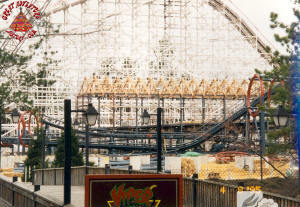 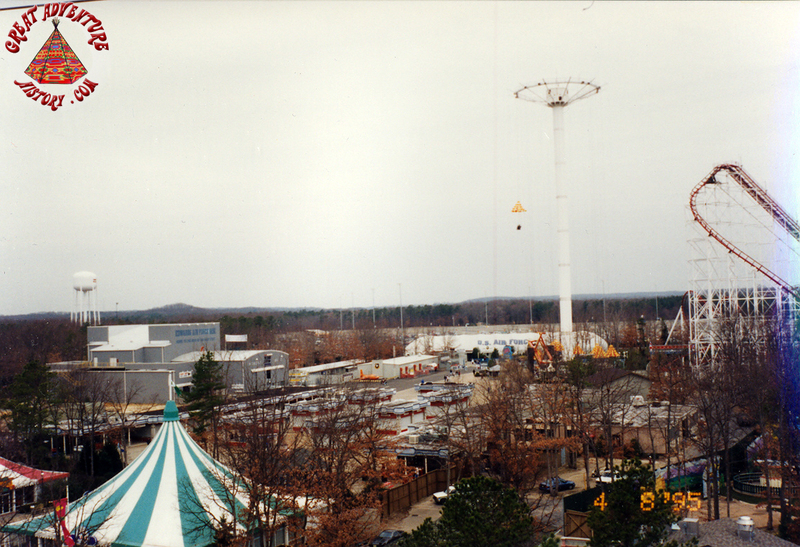 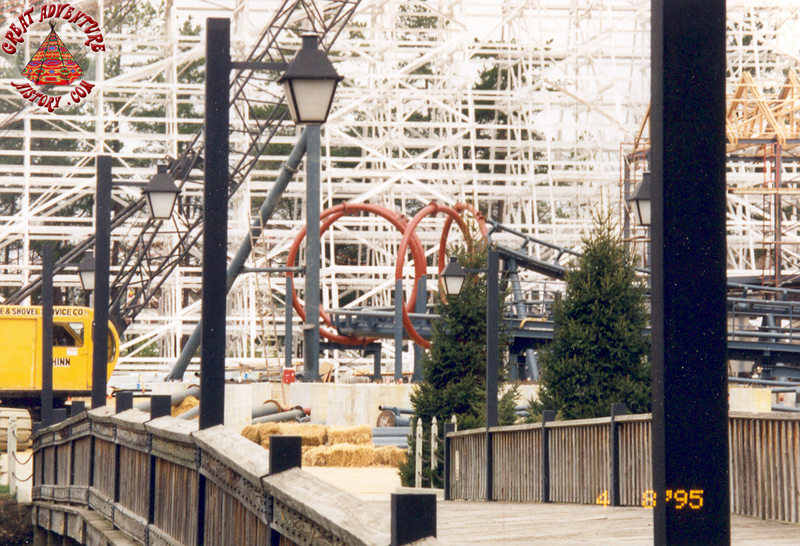 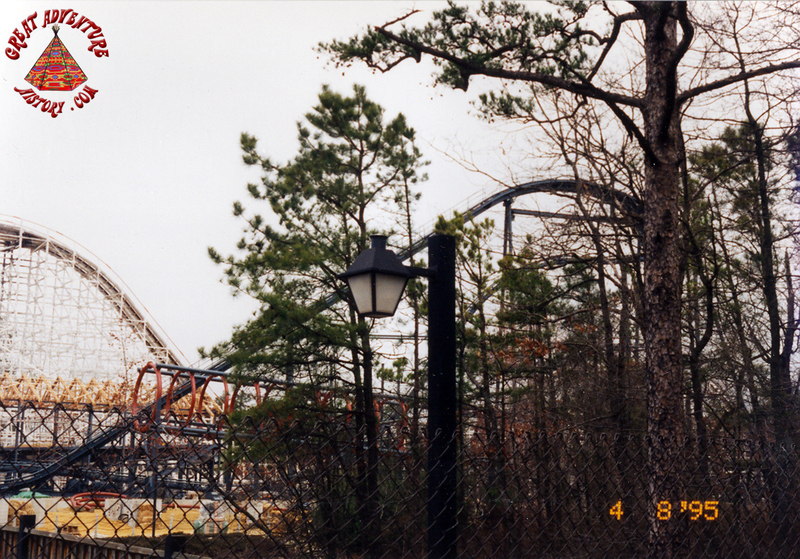 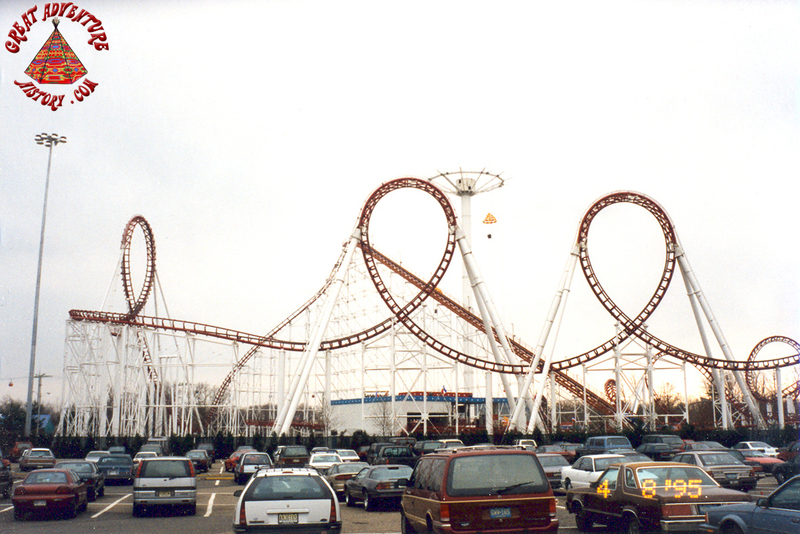 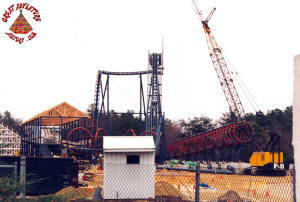 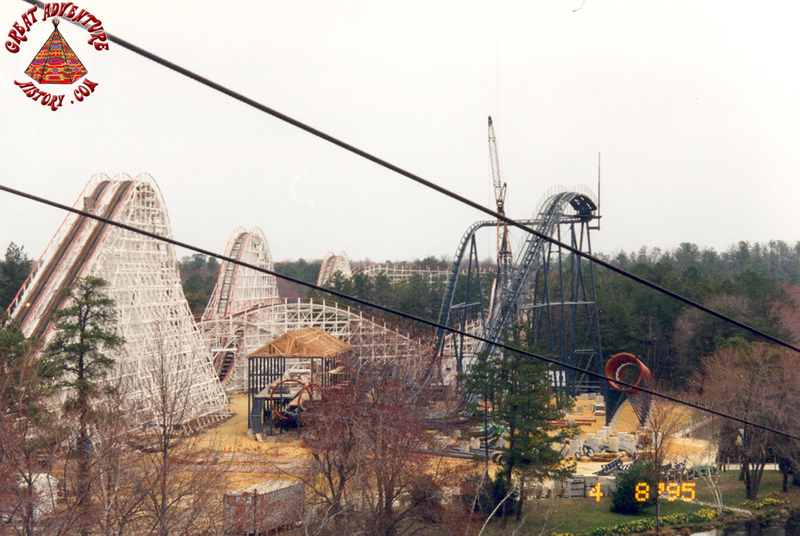 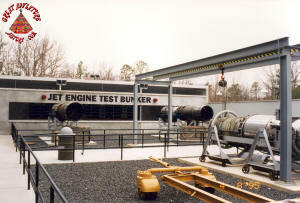 Viper was installed on the former site of the old Ultra Twister which was removed in 1989. 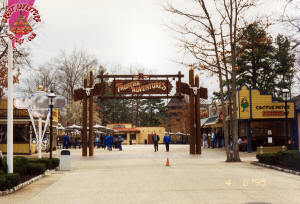 A new/relocated portal sign marked the new entrance to Frontier Adventures. 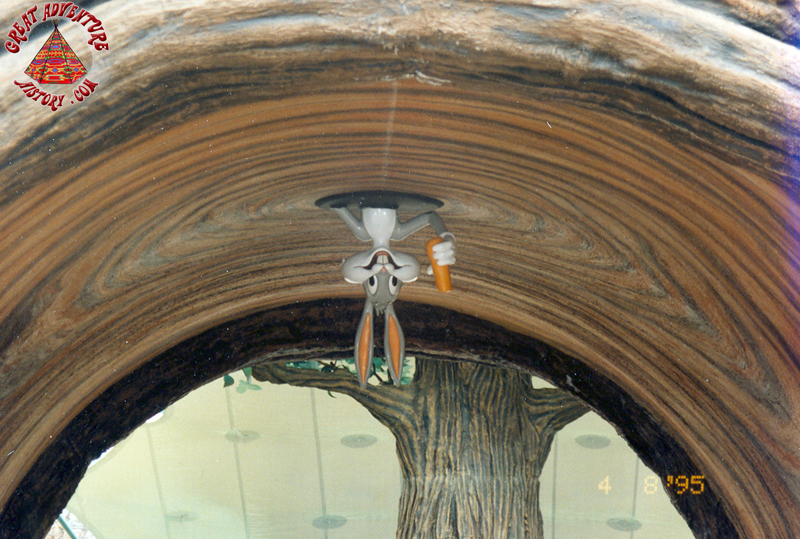 Bugs Bunny was added to the inside of the Bugs Bunny Land tree stump entrance. 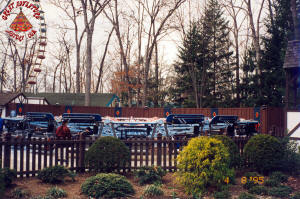 Props in the queue for the Right Stuff Mach 1 Adventure survived their first winter. 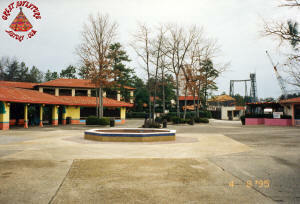 The games area received some paint which brought new color to the section. 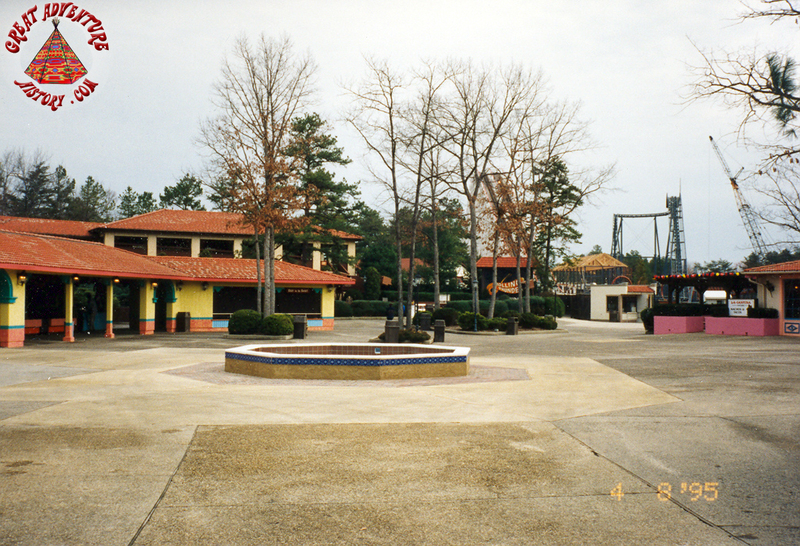 The outlying stands leading up to the games area were also repainted.